ABFF Red Carpet is Where it is at! – Terrence J at 2014 ABFF – You have to be here this year June 11-14! Terrence J was excited on The Red Carpet at the 2014 Premiere of Think Like A Man too. – Don’t miss this year’s excitement with film screenings, red carpet arrivals, celebrities and More. I will moderate TCM’s ABFF Remembers: “Boyz In The Hood” a screening and discussion with academy award nominated director and writer John Singleton. Hope to see you there! 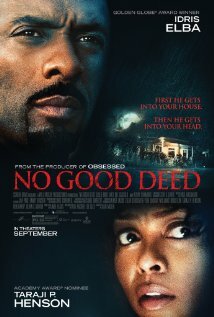 Reggie’s Movie Update: Does No Good Deed go unpunished on the big screen? Think Like A Man Too – ABFF Premiere: The Men Having A Little Fun!